Exclusive: Upcoming Royal Enfield Launch Details Revealed! From the invite, it’s easy to guess it’s going to be a new colour variant of the Classic. However, Royal Enfield is giving us much more than just a superficial paint job this time around. Yes, the upcoming Classic 350 variant, which will be inspired by the Indian Army Corps of Signals, will sport ABS! If you don’t know what the Indian Army Corps of Signals do, it is the division that oversees military communications. 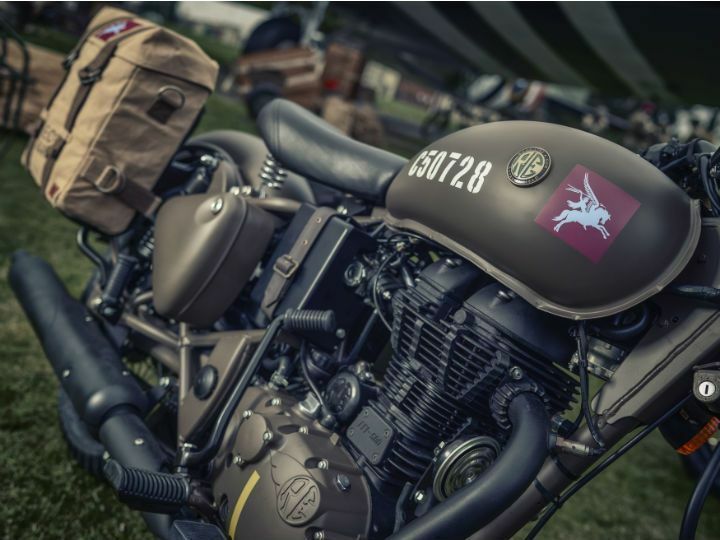 The Signal Corps Edition will be offered in two matte-finished colours - brown and blue - and each bike will also feature a unique serial code a la the Classic 500 Pegasus. Apart from the inclusion of ABS, the rest of the mechanicals remain unchanged. The 346cc, single-cylinder, air-cooled motor, which comes mated to a 5-speed transmission, is good for 20PS at 5250rpm and 28Nm at 4000rpm. Suspension duties are taken care of by 35mm telescopic front forks and and twin gas-charged shock absorbers at the rear. The braking setup will comprise of a 280mm disc up front, while the rear is likely to use the Gunmetal Grey variant’s 240mm disc. The new variant is likely to command a premium of around Rs 20,000 over the standard Classic 350, which is priced at Rs 1.39 lakh. The upcoming motorcycle will compete against the UM Renegade Sports S (Rs 1.66 lakh, all prices, ex-showroom Delhi). Images are used for representation only. Royal Enfield Bikes - Which One Suits You Best?